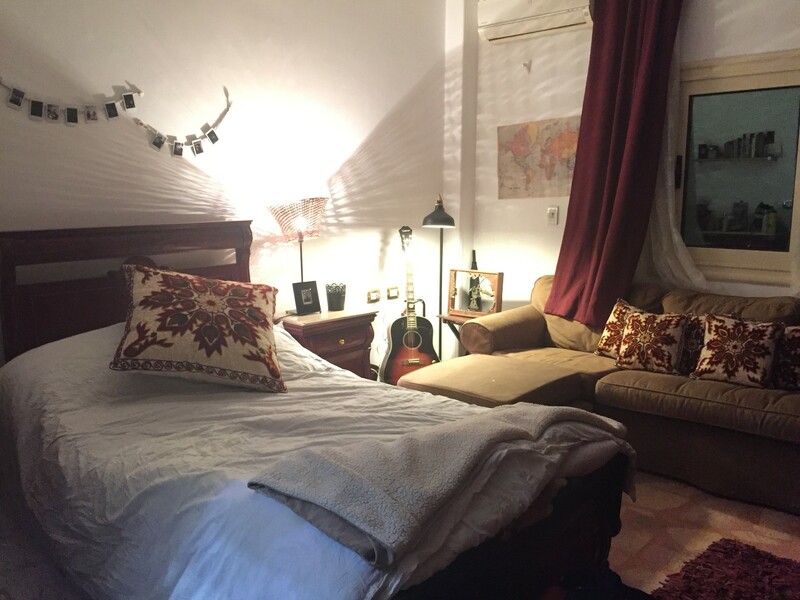 Spacious room close to the Airport and close to the German University in Cairo and the American University in Cairo approx. 15 minutes away by car. along with a private bathroom In a shared space in a villa.